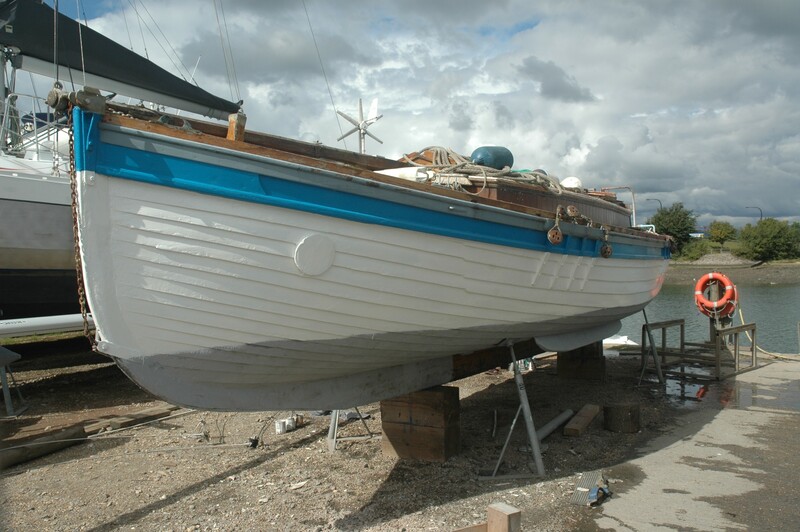 Ben Wales has launched the ex Lymington Yacht Club tender and tiny Dunkirk Little Ship Mary that he has been steadily restoring over the past few years with the help of his friend Norman Rickman. We’ve followed his progress on the clinker built 1930s motor launch since this this post in 2011. If you’re interested in seeing them all, this search link will be an imperfect way to find the posts, but should get you there. Mary went back into the water on Saturday 6th June at 1pm at the slipway next to the Royal Lymington Yacht Club, and the ceremony was performed by Joanna Lowis, great neice of the lady it was named after. The Mayor of Lymington and a crowd of around 30 people turned up to watch. The final stage will be fitting the engine box and the exhaust system, followed by sea trials. Ben says he hopes to write again with more photos soon. Meanwhile, here’s Ben’s leaflet about Mary. Congratulations Ben – she looks great and I’m sure you’re pleased and proud. The XOD keelboat class will kick off its its centenary celebrations by holding a day race in Edwardian costume at Royal Lymington Yacht Club on Friday 3rd June. I trust there will be plenty of tweed, eminently twiddleable moustachios, and of course bonnets and demure but practical long skirts! Some 100 or so boats are expected to compete in a three day centenary regatta including the Lymington and Yarmouth XOD fleets. In 1911 Yachting Monthly reported that seven 21ft keelboats of a newly established one design class came to the start line for their first race, off Hythe in Southampton Water. The boats were gaff-rigged, and the Bermudan rig came in during 1928. By 1939, 81 X One Design boats had been built. In 1961, there were 52 starters at Cowes Week, and now a hundred years after the first race the class hasn’t just survived but grown to become the largest fleet on the start line at Aberdeen Asset Management Cowes Week. The original racewas won by Portsmouth brewer Harry Brickwood. One of the boats in the original race X5 Madcap, is still racing today, while the first XOD, X1 Mistletoe, which was built by Alfred Westmacott on the Isle of Wight, is now at the National Maritime Museum Cornwall. 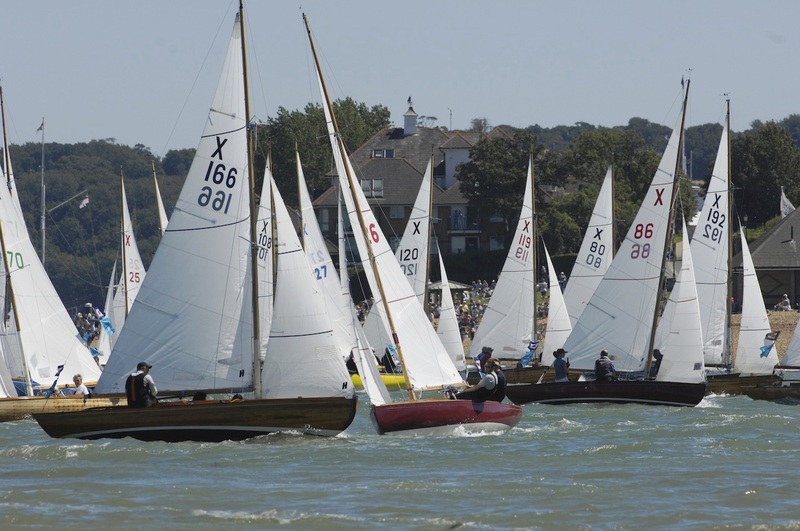 Cowes Week 2010 was won by X26, which was built in 1923. The XOD is a pretty wooden yacht of just under 21ft in length; it has two or three crew, and crews of all sizes compete on equal terms. The spinnaker can be flown from within the safety of the cockpit, which avoids any need for foredeck work.